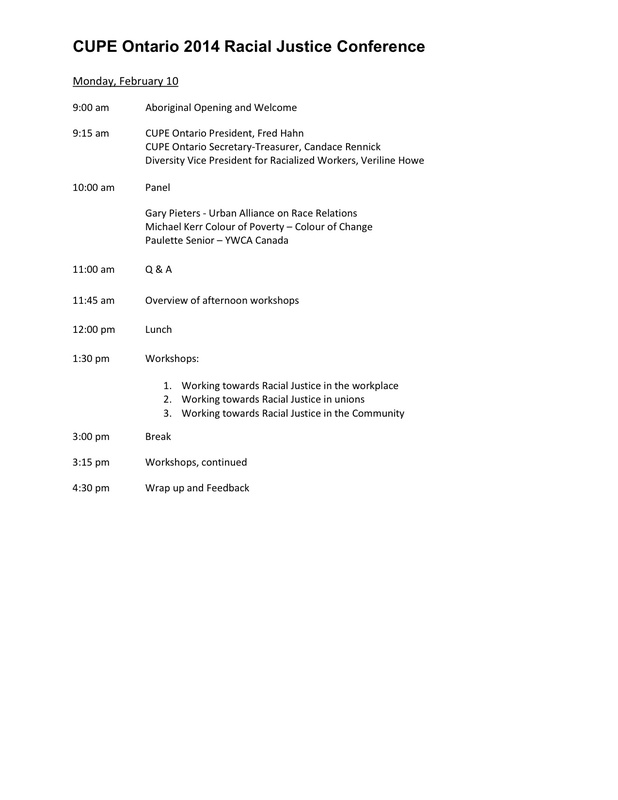 CUPE Ontario Racial Justice and Human Rights Conference convened from February 10th to February 13th 2014. Over 100 conference participants from CUPE locals across Ontario participated at the conference centre at the Sheraton in Richmond Hill, Ontario. On the first day of the conference, a panel which included Urban Alliance on Race Relations President Gary Pieters, YWCA CEO Paulette Senior and Colour of Poverty Organizer Michael Kerr addressed many issues of equity, diversity and inclusion under the theme Standing Up for Fairness for Racialized Workers .